Fondly called as “the woman who built Beijing”, Zhang Xin’s two decades in the real estate business has brought her huge respect and fortune. The CEO and Co-founder of SOHO China, the largest commercial real estate developer in Beijing has long been hailed as one of the highly regarded self-made billionaires. Picking up from a poor childhood and living in the outskirts of Beijing to forming the face of the city, she has definitely come a long way. 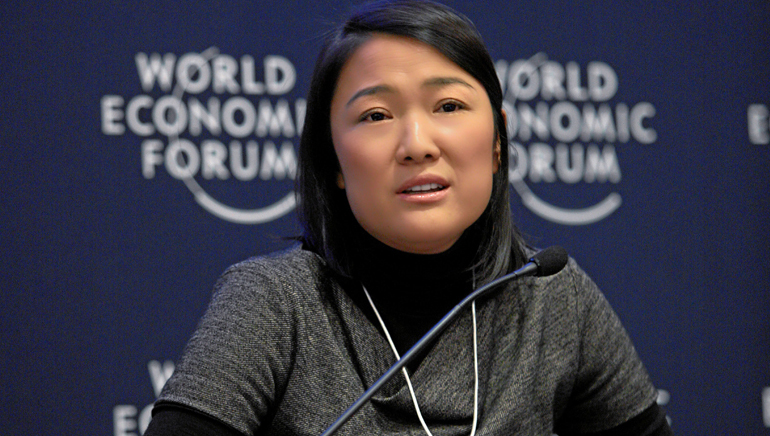 Zhang Xin formed SOHO China with her husband, and she took that company from the grassroots level to huge projects directly influencing the economy of the country. A simple elegant woman who likes to spend weekends carrying out her parental duties looking after her boys refuses to live like a billionaire. The cutting-edge skyscraper buildings depict a great sense of style as Zhang Xin personally pays special attention to the designs. Her buildings are an expression of China’s emergence into the modern world, as china is now becoming the country that has produced more self-made billionaires than any other country in the world. She uses her Wall Street know-how to raise money abroad, and hires the world’s top architects. Her buildings are said to be fluid and futuristic, and she is proud to have helped Beijing create an attractive skyline.